>Children, Families, & Schools Ed.S. Children, Families, & Schools Ed.S. The education specialist degree (Ed.S.) in Children, Families, and Schools is an option for students who would like to pursue an advanced degree beyond a masters, without the dissertation component of the doctorate. The Education Specialist (Ed.S.) degree is an advanced terminal degree in the U.S. that is designed for individuals who wish to develop advanced knowledge and theory beyond the master's degree level, but may not wish to pursue a degree at the doctoral level. The Ed.S. provides an intensive, cohesive program of professional development for educational specialists beyond the master's level. The Ed.S is a minimum of a 30-credit-hour program of study beyond the master's degree. All 30 credits must be taken at the university within a four-year period, and at least 15 credits must be taken in the College of Education. A minimum of 18 credits used toward fulfillment of the requirement must be at or above the 600 level. 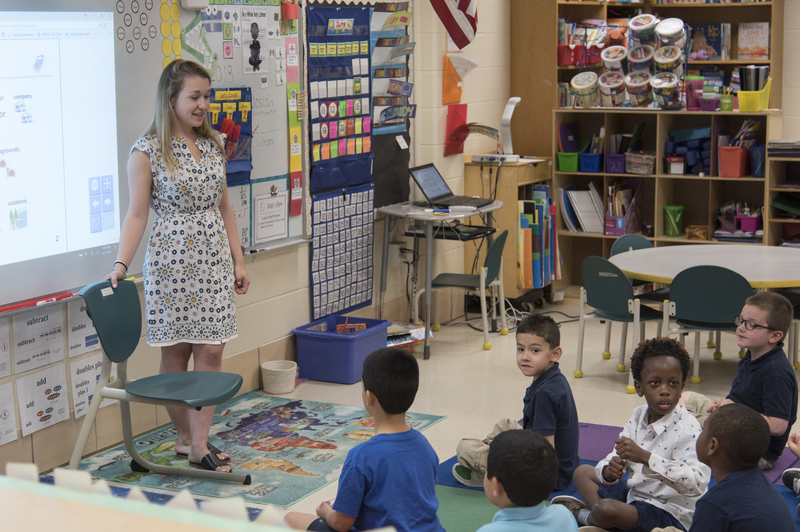 Applications to the Children, Families, and Schools Educational Specialist program can be submitted through the Graduate School. Applicants need at least a master's degree in a related area (education, psychology, communication disorders, etc.) and previous experience in a school setting.